WRAY briefer, skipper, and all-round nautical expert, Mike Dicker, blogs about the Whitsundays from his unique on-the-water perspective. Getting up close and personal with sea turtles is one of the joys of a Whitsunday bareboat charter holiday, but what do you do when that turtle needs help? This month, the team at Whitsunday Rent-A-Yacht learned exactly that, when a turtle rescue took place at our Shute Harbour base. The juvenile green turtle, now named ‘Carlee’, was spotted in the harbour’s mooring zone. Caught in thin mooring line she was also suffering from floating syndrome, caused by a build-up of unreleased gas. 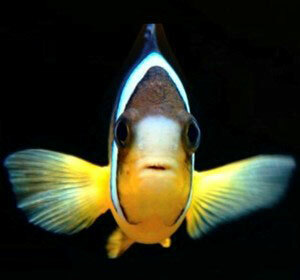 Floating syndrome is a serious condition, which stops the animal diving for food and ultimately leads to starvation and death. Happily, treatment is highly successful and Carlee was destined to receive some much-needed human help. Just a phone call away from our Shute Harbour base is the Whitsunday Turtle Rescue Centre – a local facility where since 2013 a total of 42 turtles have made remarkable recoveries and been released. On their advice, Carlee was loaded into a tender, wrapped in wet blankets and transported to the jetty by our operations team. Volunteers from the Whitsunday Turtle Rescue Centre and Fauna Rescue Whitsundays were able to collect Carlee from our jetty and take her to one of the centre’s five quarantine tanks. We are pleased to announce she is now doing well in care and has started eating again. Whitsunday Turtle Rescue Centre founder Libby Edge says it’s important for turtle survival that members of the public are able to identify sick or injured animals. “A member of the public that comes across a sick or injured turtle is allowed to rescue that turtle should it be safe enough to do so, but they must bring the turtle to the closest Turtle Rehabilitation Centre and in the Whitsundays that would be us,” she says. Turtles who have been floating for a long time may be covered in barnacles or algae. Other obvious symptoms are an inability to dive and a large amount of carapace exposed. If you see what you suspect to be an injured or sick turtle the best course of action is to call the RSPCA animal stranding hotline on 1300 ANIMAL (264 625). Around the Whitsunday islands there are many popular turtle watching spots. Tongue Bay is a great place to see turtles surface close to your boat, as well as being the spot to head to the Hill Inlet lookout track from. Cid Harbour is another great turtle feeding ground, and a couple of particularly friendly turtles are known to frequent the mooring buoys in Stonehaven Bay. You will often hear a turtle before you see it, as they exhale loudly when surfacing from the depths. 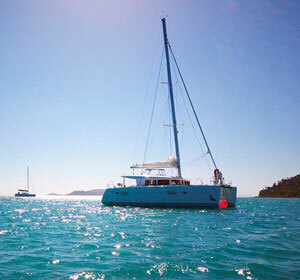 With such amazing marine life on our doorstep, Whitsunday Rent-A-Yacht is proud to be an Eco-Certified tourism operator. 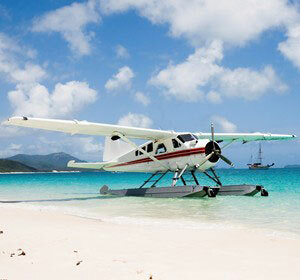 Our whole ethos of bareboating is about enjoying the wonderful Whitsunday environment while making a minimal impact. We are committed to conserving the natural beauty we are lucky to be custodians of, and helping to educate our guests. 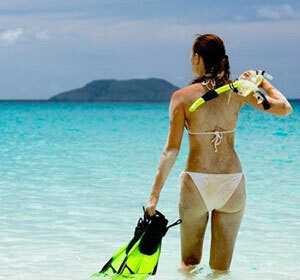 On board your Whitsunday Rent-A-Yacht charter vessel you will find several ecotourism resources including whale and marine species, mooring and anchoring, and national parks fact sheets. 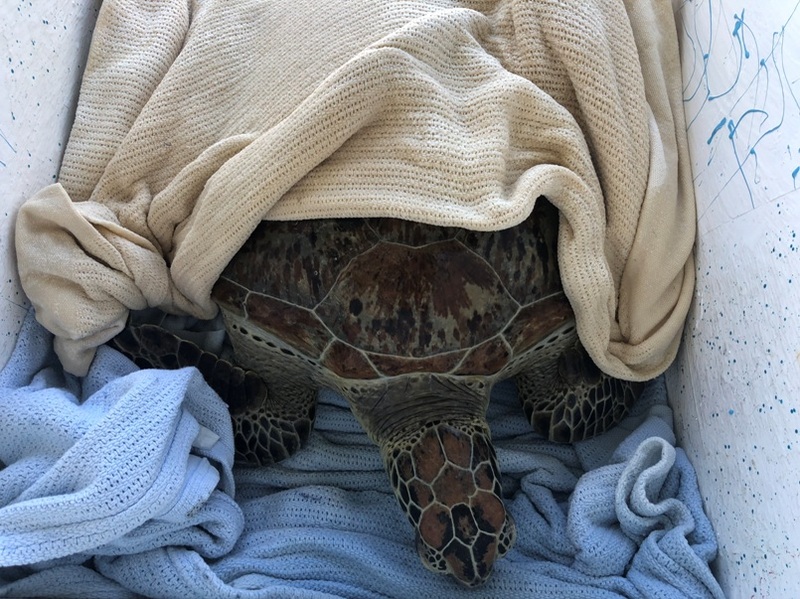 Carlee is expected to remain at the Whitsunday Turtle Rescue Centre for about three months but once fully recovered she will be released back into the wild from our Shute Harbour base. Whitsunday Rent-A-Yacht sales and marketing manager Stephanie Gale speaks for us all when she says we are passionate about environmental sustainability and look forward to seeing Carlee return to the marine park. 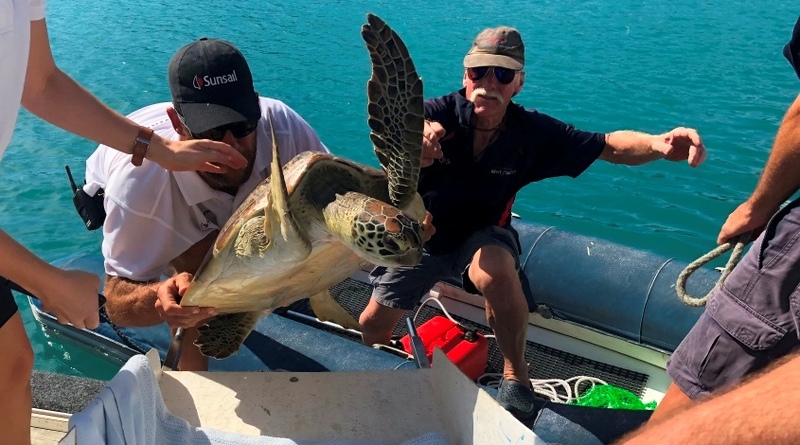 “We were happy to provide assistance to this gorgeous female green turtle in any way that we could, and to support the amazing work that Libby and the team at Eco Barge Clean Seas Inc do,” Stephanie says. Ensuring rubbish is disposed of properly so it does not enter the marine environment. Reducing boat speed when travelling over sea grass waters where turtles are more prevalent. Donations to the Whitsunday Turtle Rescue Centre can be made online via www.ecobargecleanseas.org.au.